Jagjit Singh Ji ! 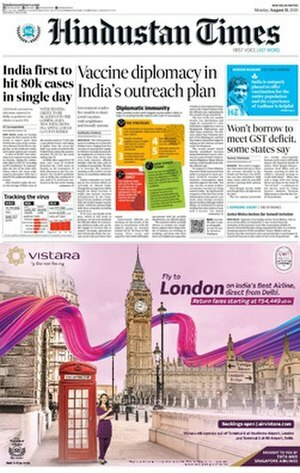 Chitthi Na Koi Sandesh , Kahan Tum Chale Gaye ? MUMBAI – MAHARASHTRA – INDIA DECEBER 31 , 2011 7.00 P.M.
On October 09th , when I came to my institute and started going through all the twitter postings , I found a tweet , to my shock and dismay, about the sad demise of Ghazal King Jagjit Singh Ji. I knew about his medical condition and also that he was admitted in Lilawati hospital due to brain haemorrhage , but still I was hoping against hope that he would survive . 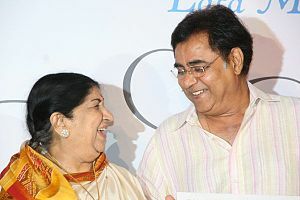 Jagjit Singh and his singer wife Chitra Singh were not only one of the most popular Ghazal singers of India but they are solely responsible for the resurrection of this genre of singing , popular among royalty of South East Asia . Before the advent of Jagjit Singh , Ghazals had classical base and flowery and chaste Urdu poetry and that too heavily Persianised Urdu . Because of this , genre of Ghazal became the thing of wealthy Zamindars and the selected royalty. This was the reason of limited reach of Ghazals and its subsequent decadence in popularity. When Jagjit Singh came to the scene , he realized the precarious situation and single-handedly fought and changed the scene. He chose easy but meaningful and poignant words, simplified the classical Ragas and introduced modern orchestra. His music arrangement was also very modern and catchy. Puritans frowned , as they always do , whenever a change is ushered in , but masses lapped this new kind of Ghazals and slowly puritans also fell in line because you can’t fight with the masses. ” The unforgettables ” [ 1976 ] , was the first LP records of Jagjit Singh and Chitra Singh and it hit the market like a tarnado. It created sensation and a new icon was ushered on the firmament of the music world. I am proud to say that I have LP record of ” The unforgettables ” . But the journey of Jagjit Singh was not easy . 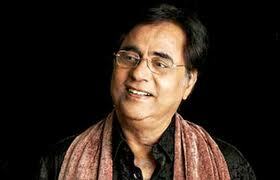 Born In Sri Ganga Nagar , Rajasthan on February 08 , 1941 , Jagjit Singh started learning music at early age . He came to Mumbai in 1961 and started his struggle . Success came to him after 15 long and arduous struggling years . But once it came , Jagjit Singh created history . Combined album of film songs sung by him ; ” Arth “ and ” Saath Saath “ is India’s largest selling album of all times . His ghazal album ” Sajda “ with Lata Mangeshkar is the largest selling album of all times in India in non – film category . He gave music for films like ; ” Prem Geet ” [ 1981 ] , ” Arth ” [ 1982 ] , ” Saath Saath ” [ 1982 ] , and TV serials like ; ” Mirza Ghalib [ 1988 ] and ” Kahkashan ” [ 1991 ] . Just like his ghazal albums , all the songs of these albums were hits . In total he has given us 80 albums and all of them are best sellers . Besides ghazals . Jagjit Singh also sung bhajans and gurbani . His albums like ; ” Maa ” , ” Hare Krishna ” and ” Hey Ram … Hey Ram “ and ” Man Jeetayi jagjit “ are much renowned and acclaimed . His concerts were almost always sold out . I am ashamed that I am posting this obituary after 3 months . I started writing immediately after his death . 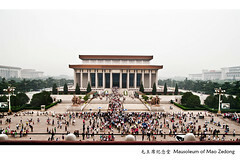 But it remained incomplete because so many luminaries died in the last quarter of 2011 and I was travelling incessantly . I am ashamed for the delay and saddened at the loss of the world of music . MUMBAI – MAHARASHTRA – INDIA DECEMBER 29 , 2011 02.55 A.M.
On December 27, 2011 , Communist China celebrated 118th birth anniversary of Chairman Mao Ze Dong . There were celebrations throughout China . Mao Ze Dong , who was Mao Tse Tung in my childhood days , is the creator of modern Communist China . So the festivity was expected . 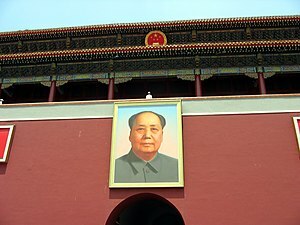 China is eager to preserve the legacy of Chairman Mao . May I ask what is the legacy ? Is there anything in his legacy to crow about ? 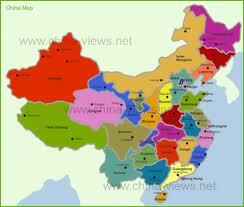 The map given below is the current map of China . East Turkestan , Tibet , Inner Mongolia and Manchuria are annexed and disputed territories . 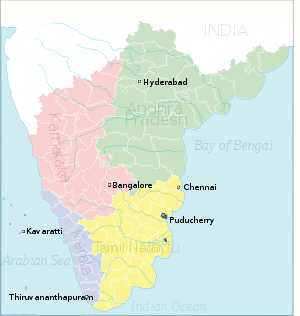 If there areas become independent , what is left ? True , he was founding father of the People’s Republic of China , stablished in 1949 . He was in control of China and The Communist Party of China till his death in 1976 . Mao rose to power after Long March . This Long March catapulted Mao Tse Tung , as he was called then , to the forefront . He travelled 12,500 kilometers in 370 days . The Long march started from Jianxi in October 16 , 1934 and culminated in Shaanxi in October 19 , 1935 . In 1949 Mao Ze Dong announced the establishment of Communist China and became the Chairman . Chairman Mao is revered bu his countrymen . But history is harsh and history is the ultimate judge of the people and his legacy . When I look back objectively , I am forced to say that the legacy of Mao Ze Dong is blood – drenched . Just like the Red Flag of his party his persona is full of blood stains . Let us visit pages of his life one by one . His life and so – called legacy is a book of deceit and deception . Kuomintang and Chiang Kai Shek : Before becoming a national figure , Mao formed Second United Front with Kuomintang of Generalissimo Chiang Kai – shek during Second Sino – Japanese War . But later he deceived Generalissimo and fought a Civil War and defeated Kuomintang of Generalissimo Chiang Kai – shek . 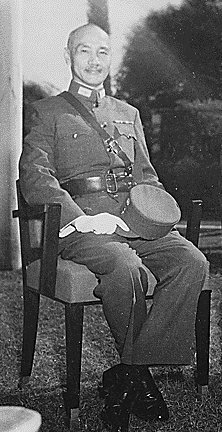 Chinag Kai – shek went and stablished his regime in Taiwan . Is deceiving an ally be called a legacy ? Mao never accepted the aspirations of Taiwanese people and wanted to annex it by force . 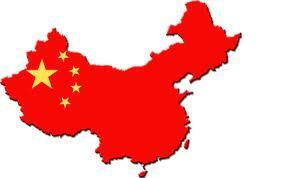 International media calls rest of the China as Mainland China . Mao simply drove Kuomintang from the Mainland and usurped the power . So the true and legitimate ruler left China and took shelter in Taiwan . 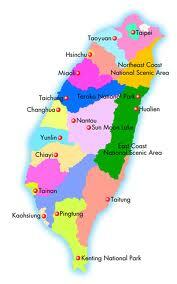 In my opinion Taiwan is the real China and there is no Main Land China . If a person throws me out of my house and I am forced to live in some other place , my house wont belong to the usurper . It will remain my house . So China belongs to the Taiwanese Nationalist people , who are currently staying in Taiwan . Tibet and HH Dalai Lama : After failing in Taiwan and after gaining control of major portions of China , Mao sent his Red Army in Tibet and annexed the sovereign nation of Tibet in 1950 . HH Dalai Lama took shelter in India and Tibetan people are forced to live in subjugation of Communist China . I am giving the original map of Tibet , which Mao refused to accept . Amdo and Kham have been truncated from Tibet . He first promised autonomy to the truncated Tibet and said that he only wanted Tibet to accept sovereignty of China and she can remain autonomous in every aspect . But later on reneged and took full control of Tibet . Tibetan culture is under threat and millions have died . Subjugation of Tibet continues unabated . During The Great Leap Forward between 2 Lakh and 10 Lakh Tibetans died . Around the time of Cultural Revolution 6,000 monasteries were destroyed . 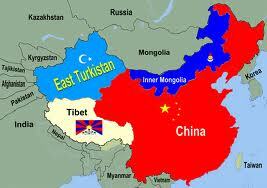 East Turkestan : China and Russia have disputes over East Turkestan , which is named Xingjiang by China . 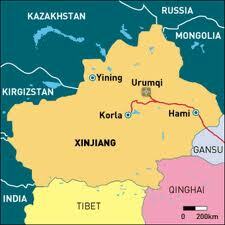 Land of Uyghur was annexed by China . On October 1 , 1955 , Mao Ze Dong designated Xingjiang as Uyghur Autonomous region and encouraged settlers from other parts of China to change its demographic entity . ”] Inner Mangolia :Mongolia is a sovereign nation . Mongols are different from Han Chinese . 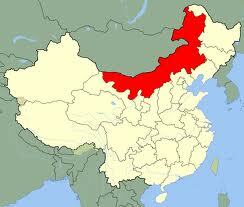 So where is the question of Inner Mongolia being part of China . Mongolia Autonomous Region was stablished in 1949 and it is the third largest sub – division of China . It is now a Han majority region and Mongols are in minority . The empire of mighty Genghis Khan is now divided into two parts . 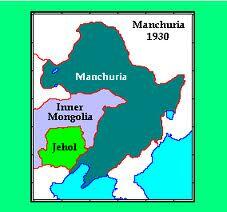 There were revolts in Inner Mongolia but it was suppressed by Mao and Inner Mongolia was divided into many provinces . In 1969 much of Inner Mongolia was distributed among surrounding provinces and thus the region lost its ethnic Mongol culture .Mongols are now only 20% of the population . Their percentage tells the true story of mao’s legacy . Manchria : Another disturbed region of China tells some other story . 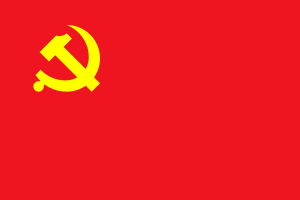 In 1969 Mao fought with USSR , China’s only supporting country , over the question of Manchuria . He finally got Manchuria and made it another Autonomous region . If all these annexed regions are freed from the Chinese yoke , what would remain is interesting to see . I am giving a map . 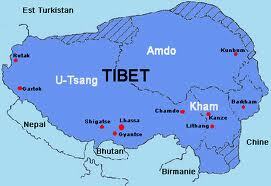 And remember this map still includes Amdo and Kham regions of Cultural Tibet and Manchuria . If you separate East Turkestan , Tibet [ along with Amdo and Kham ] , Inner Mongolia and Machuria from China , the much smaller China will be a treat to see .Just go through the map . Apart from this brutal story of annexation , let us examine what happened during various movements of Mao . Under direct orders from Mao in 1948 Peoples Liberation Army starved the Kuomintang forces . Apart from the army , at least 1,60,000 civilians were also got killed . His two most famous movements , the Great Leap Forward and the Cultural Revolution were catastrophic failures . As per one estimate 40 to 70 million people died during his rule . Lakhs committed suicide because of political persecution and Anti – Rightist Movements . Officers were purged and they simply vanished without trace . Agricultural lands were confiscated and the landlords were tortured and were killed . Public execution of opponents became order of the day . 8,00,000 were killed in counter-revolutionary campaigns . 4 to 6 million people were sent to reform through labour camps . Majority of them died . During three – anti / five – anti campaigns , some more million lives were lost . Majority of them committed suicide . Because of this reign of terror workers denounced their bosses , wives their husbands and children their parents . 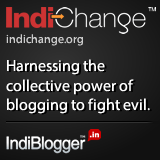 Imagine a life where you are spied by your own subordinate , your spouse and even your kids . This is Mao’s true legacy . During Hundred Flower Campaign Mao allowed people to voice dissent and they were encouraged to have different opinion . But later on campaign was stopped and all the dissenters , 5,00,000 in total , were ruthlessly executed . During Great Chinese Famine , between 1959 to 1962 , almost 30 million Chinese peasants died . After Stalin’s death , Mao denounced USSR and branded them as revisionists . His was not faithful even to USSR [ Union of Soviet Socialist Republic ] , which supported him blindly and was the only country to help him to consolidate power during his formative years . This is very brief history of bloodshed and cruelty . Chinese people and the government may revere him , and they do . That’s why his portrait adorns Tiananmen Square . But as for his legacy is concerned , it is gory and blood – drenched . This brutal dictator lies in peace in his grand mausoleum . His personal doctor wrote that he never brushed his teeth , never took bath and used to come out of bed very rarely . His doctor wrote that he used to wear formal clothes only when he was supposed to go out . In his grand Mausoleum , now he is enjoying those awful luxuries . And he will keep on enjoying those luxuries till eternity . Amen !! MUMBAI – MAHARASHTRA – INDIA DECEMBER 29 , 2011 12.30 P.M. This is the 7th article in Bhojpuri City , a fortnightly Bhojpuri trade magazine , which carries my column . My 6th article was published in the September 1st issue of the said magazine . That was delayed by two and half months . I promised that in future I would be regular . But again I went for the pilgrimage of South India and this article comes after almost three months . It’s definitely not a good sign for a budding columnist . This is very short article about the topics on which current Bhojpuri films are being made . Films of various other Indian languages are moving ahead . They are experimenting with technique and format but Bhojpuri films are stuck in the same clichéd groove . This article concentrates on that . I promise that I would be regular in future . If a fortnightly column come after 2 / 3 months , it definitely diminishes the purpose . There are various Bhojpuri speaking nations in the world . Bhojpuri speaking people are almost 24 crores in numbers . 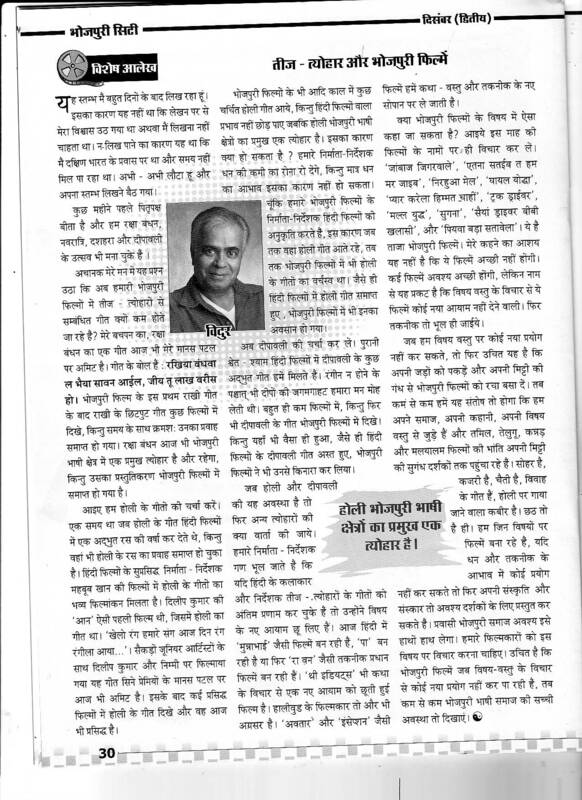 Through this column I want to reach Bhojpuri speaking diaspora . So I have to be regular . 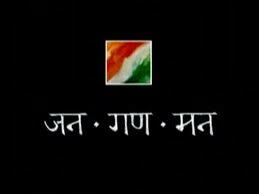 100 Years of Our National Anthem : Jana Gana Mana …. 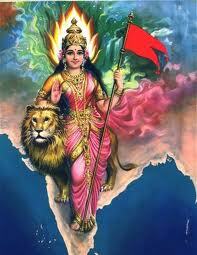 MUMBAI – MAHARASHTRA – INDIA DECEMBER 29 , 2011 02.25 A.M.
On December 27 , 2011 , our National Anthem completed 100 years . 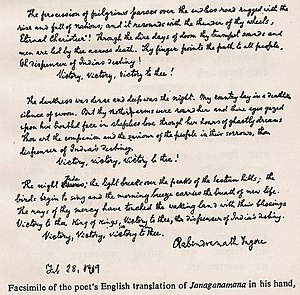 Written by Rabindra Nath Tagore in Bengali , it was first sung on December 27 . 1911 in the Calcutta [ Now Kolkata ] session of Indian National Congress . The building , where plenary session of Congress was held is called Bharat Sabha . It is on Bowbazar Street . That building still stands and is the silent reminder of that historical event . Rabindranath Tagore wrote 5 stanzas of the song , which is basically a Brahmo Hymn . Only the first stanza was adopted by the Constituent Assembly as the National Anthem on January 24 , 1950 . Here I am giving all the 5 stanzas along with the English translation done by Rabindranath Tagore himself . calling the Hindus, Buddhists, Sikhs and Jains round thy throne and the Parsees, Mussalmans and Christians. To be woven in a garland of love. and it resounds with the thunder of thy wheel.Eternal Charioteer! Through the dire days of doom thy trumpet sounds, and men are led by thee across death. Thy finger points the path to all people. Oh dispenser of India’s destiny! [ The darkness was dense and deep was the night; my country lay in a deathlike silence of swoon. in sleepless love through her hours of ghastly dreams. thou dispenser of India’s destiny! the birds begin to sing and the morning breeze carries the breath of new life. The rays of the mercy have touched the waking land with their blessings. victory to thee, dispenser of India’s destiny. I am giving all the 5 stanzas of Jana Gana Mana ….. in Bengali script . জয় জয় জয় হে জয় রাজেশ্বর ভারতভাগ্যবিধাতা! Moreover, Tagore was a patriot who wrote other songs too apart from “Jana gana Mana” lionizing the Indian independence movement. He renounced his knighthood in protest against the 1919 Jallianwala Bagh Massacre. The Knighthood i.e. the title of ‘Sir’ was conferred on him by the same King George V after receiving the Nobel Prize in Literature for “Gitanjali” from the government of Sweden. Two of Tagore’s more politically charged compositions, “Chitto Jetha Bhayshunyo” (“Where the Mind is Without Fear” :Gitanjali Poem#35) and “Ekla Chalo Re” (“If They Answer Not to Thy Call, Walk Alone”), gained mass appeal, with the latter favoured by Gandhiji and Netaji Subhash Chandra Bose . 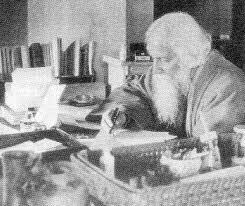 In 1919, Tagore travelled to Madanapalle in Andhra Pradesh and spent five days at the Theosophical College with Irish poet James H. Cousins, who was the principal. On the evening of February 28, 1919, the poet, for the first time, sang the inspiring devotional song and enthralled the college authorities, who selected it as the prayer song. 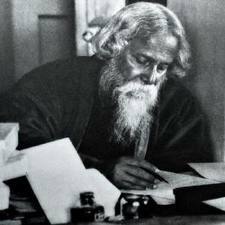 Tagore subsequently translated the lyrics into English and with the help of Cousins’ wife, Margaret, who was an expert in western music, set down the notation which is being followed till today. This opened the window for the song to reach national and international audiences. I personally believe that Gurudev , as he was fondly called , was a patriot and he created Jana Gana Mana ….. in the honour of Bharat Mata . 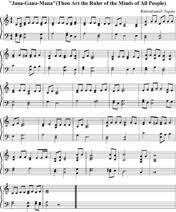 It was a Brahmo Hymn and not a song in the honour of King George the 5th . If still people want to raise an accusing finger , it should be pointed at the Congress . The Indian National Congress even passed a resolution praising King George the 5th. 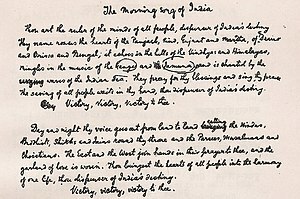 A confusion was created by ignorant people and Tagore was blamed for subservient behaviour and the Congress conveniently forgot its resolution praising and hailing the King George 5th of Great Britain . Indian National Congress still keeps enigmatic silence and feigns ignorance , when Tagore is accused for praising the King George V .
MUMBAI – MAHARASHTRA – INDIA DECEMBER 28, 2011 02.30 A.M. I never ever thought that in the last quarter of 2011 I would be writing so many tributes to the departed stalwarts of the field of art , music and literature . I have already written obituary on Bhupen Hazarika , Shammi Kapoor , Dev Anand , Mario Miranda and Christopher Hitchens . Obituary of Jagjit Singh and Steve Jobs are half – written and yet to be posted . And now comes the news of the sad demise of Pandit Satyadev Dubey . On December 25 , 2011 , when the world was celebrating birth of Jesus Christ , an eminent theater personality Pandit Satyadev Dubey bid adieu . Curtain finally came down and stage went empty . A stalwart , who bestrode the theatre world of Mumbai for 5 decades , Pandit Satyadev Dubey finally left the stage at the age of 75 . He was sitting in Prithvi Cafe on September 19 , 2011 , when he slipped into coma and was rushed to the hospital . He never came back . Born in Bilaspur , Chhattisgarh in 1936 , Dubey ji , as he was fondly called , came to Mumbai to become a cricketer . While studying in St. Xavier’s College Mumbai , he came into contact with Vijay Anand , who introduced him to Ebrahim Alkazi . Thus began Dubey ji’s life – long association with theatre . He also learnt from Marathi theatre guru Parshwanath Aaltekar , who taught him articulation and proper pronunciation . Dubey ji used to lisp in his younger days . 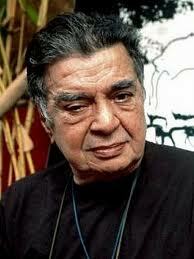 Theatre Guru Aaltekar taught him how to overcome this short coming . In his 5 decades long career Pandit Satyadev Dubey produced and directed plays like ; ” Yayati ” and ” Hayavadana ” written by Girish Karnad ; ” Aadhe Adhure ” written by Mohan Rakesh ; ” Gidhade ” , ” Shantata ! Court Chalu Aahe ” and ” Baby ” written by Vijay Tendulkar ; ” Evam Indrajit ” and ” Pagla Ghoda ” written by Badal Sarkar ; ” Raktapushpa ” written by Mahesh Elkunchwar ; ” Savlya ” written by Chetan Datar and ” Antigone ” written by Jean Anouilh . He also staged and directed a play ” Andha Yug “ written by Dharamvir Bharti for radio . He wrote and directed plays like ; ” Sambhog Se Sanyas Tak ” , ” Inshallah ” ” Ada Chautal ” and ” Bramha Vishnu Mahesh “ . In the career span of 50 years , he wrote , produced and directed more than 100 plays in Hindi , Marathi and English . Apart from stage , his first love , he wrote screenplay and dialogues of films like ; ” Ankur ” [ Screenplay – Dialogue ] , ” Nishant ” [ Dialogue ] , ” Bhumika “ [ Screenplay – Dialogue ] , ” Hira Aur Patthar ” [ Dialogue ] , ” Vishwasghat ” [ Screenplay – Dialogue ] , ” Junoon ” [ Dialogue ] , ” Kalyug ” [ Dialogue ] , ” Akrosh ” [ Dialogue ] , ” Vijeta ” [ Story – Screenplay – Dialogue ] and ” Mandi “ [ Screenplay – Dialogue ] . 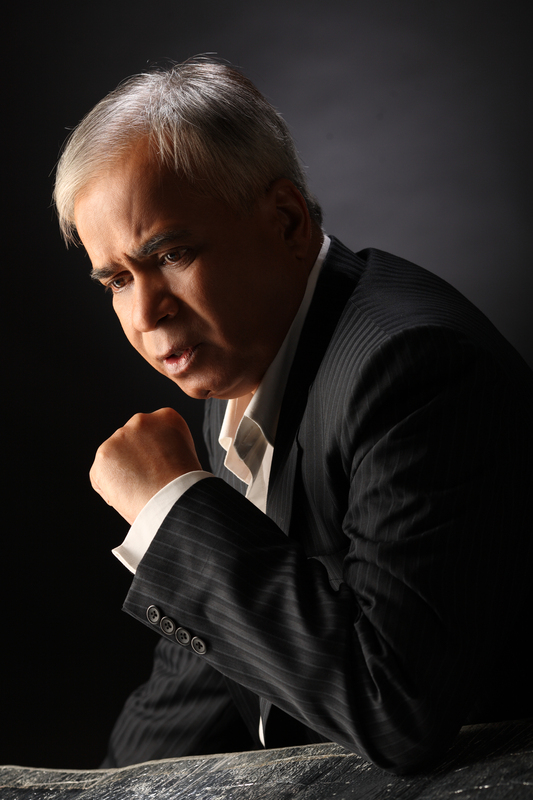 Dubey ji made 2 short films ; ” Aparichay Ka Vindhyachal ” and ” Tongue In Cheek ” . Apart from staging play and writing scripts for films , he donned the avatar of a trainer and groomed many actors . He believed in natural dialogue delivery and discarded highly theatrical and loud dialogue delivery , which was in vogue before his advent . Amrish Puri , Naseeruddin Shah and Amol Palekar are some of his most famous disciples . Amrish Puri was so indebted to Dubey ji that he would often say that , ” I can leave a film project for Dubey ji’s play , if I ever get a call ” . 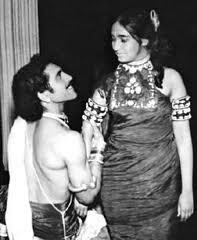 Naseeruddin Shah & Ratna Pathak Shah in Dubey ji's Last Play "Antigone"
Dubey ji got Madhya Pradesh government’s Shikhar Samman and Kalidas Samman . 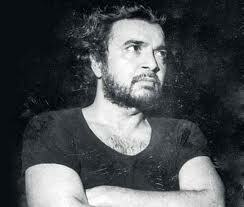 In 1971 he got prestigious Sangeet Natak Academy Award . 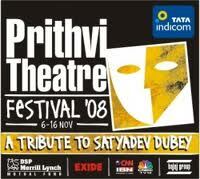 In 2008 Prithvi Theatre paid tribute to him on completion of 50 years in theatre . 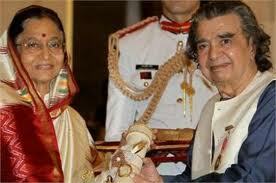 Dubey ji received Padma Bhushan in January 2011 . 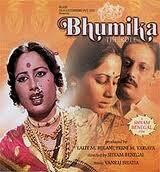 He won 1978 National Film Award for Best Screenplay for ” Bhumika “ . 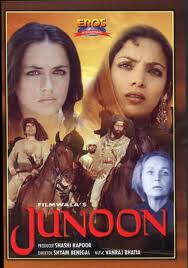 In 1980 he got Filmfare Award for Best dialogue for ” Junoon ” . During his later years he did many workshops for aspiring actors and people nick – named these workshops as NSD [ National school of Dubey ] . When I first came to Mumbai in 1972 , I went to meet him at Tejpal Auditorium , Grant Road – West . He was busy staging his play ” Aadhe Adhure ” But still gave me time and told me to watch the play . He kindly gave me ticket also . Amrish Puri played main protagonist and if my memory is not failing me , Sulabha Deshpande was the female protagonist . I was stunned to watch their brilliant portrayals . Unfortunately I had to go to Allahabad to complete my post – graduation and lost the opportunity to work with him . I came again in 1989 and went to meet him at his apartment at Phularani building in Sahitya Sahawas Colony , Bandra – East . He told me to come to Karnataka Sangh , Matunga and watch his play ; ” Sambhog Se Sanyas Tak ” . Naseeruddin Shah and Ratna Pathak Shah were playing the main protagonists . 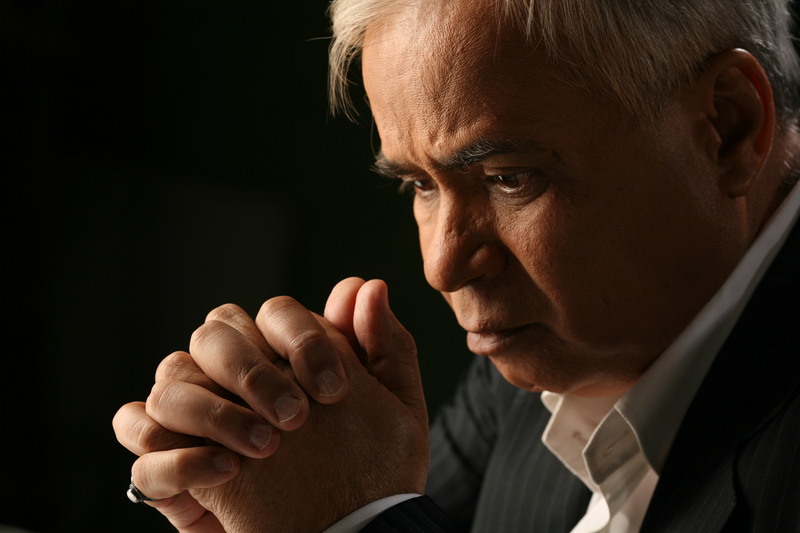 I was simply mesmerized by the sheer brilliance of Dubey ji’s writing and the acting of the main protagonists . 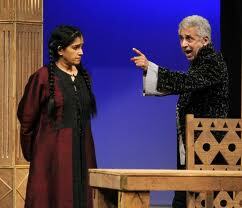 I remember that I reached late for the play and was gently reprimanded by Dubey ji for that . 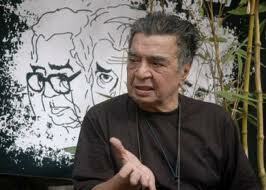 Later on I bumped into him several times at Prithvi Theatre . He was maverick . He was eccentric . He was controversial . But he was definitely a genius and was dedicated to theatre . He was a great acting Guru . Very strict , very disciplined and ruthless . I must admit that I imbibed some facets of Dubey ji as an acting trainer . I am strict . I am disciplined and I am ruthless . 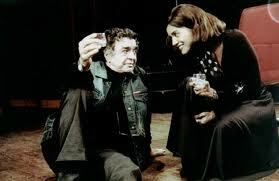 He loved natural acting and I also try to inculcate this thing in the psyche of my students . But unlike him , I am not eccentric . I am not a maverick and I don’t use colourful language like him . But I am indebted to him and I openly express my gratitude for imbibing few facets of his personality as an acting trainer . I won’t say Rest In Peace Dubey ji . It’s a custom to clap when the curtain comes down after a play . I would like to stand up and would love to clap at the final curtain call of Pandit Satyadev Dubey . Thanks for the lovely plays Dubey ji . You will be sorely missed . MUMBAI – MAHARASHTRA – INDIA DECEMBER 26 , 2011 01.50 A.M.
Mahamana Madan Mohan Malviya was born on December 25 , 1861 in Allahabad . 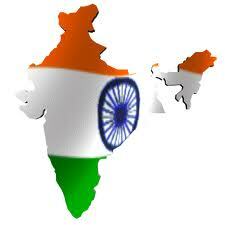 This year India celebrates his 150th Birth Anniversary. It is sad that this visionary is almost forgotten by the younger generation . People of my generation will know him by his title Mahamana . But today’s generation would not recognize him even if you mention his full name ; Mahamana Pandit Madan Mohan Malviya . It is sad and tells the pathetic state of our educational standards that a leader of the calibre of Mahamana Pandit Madan Mohan Malviya is forgotten by today’s generation . Mahamana's Statue at the Main Entrance of B.H.U. Mahamana was the President of Indian National Congress on four occasions ; 1909 – 1910 , 1918 – 1919 , 1930 – 1931 and then again 1932 – 1933 . He was founder of Banaras Hindu University , the largest residential university in Asia and one of the largest in the world . He founded it in 1916 . He was Vice – Chancellor of Banaras Hindu University [ BHU ] from 1919 to 1938 . He was succeeded by none other than Dr. S. Radhakrishnan . Apart from being an educationist , he dabbled in journalism also . 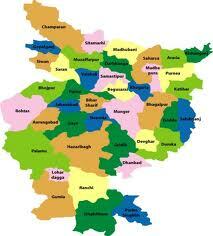 He founded ” The Leader ” in 1909 , a very popular and influential news paper , published from Allahabad . He was the Chairman of ” Hindustan Times ” from 1924 to 1946 . He was also instrumental for the Hindi edition of ” The Hindustan Times ” , named ” Hindustan ” in 1936 . He was pioneer pf Scout movement in India . Born in Allahabad in the family of Sanskrit scholars , he did his matriculation from Muir Central College and graduation from Calcutta University . His ancestors hailed from Malwa , so they were called Malviya . Due to poor economic condition , he could not complete post graduation and started his career as a teacher in Allahabad District School .Later on he left his job and became editor of a nationalist daily ” Hindustan ‘ . After two and half years he left the paper to join LL. B. 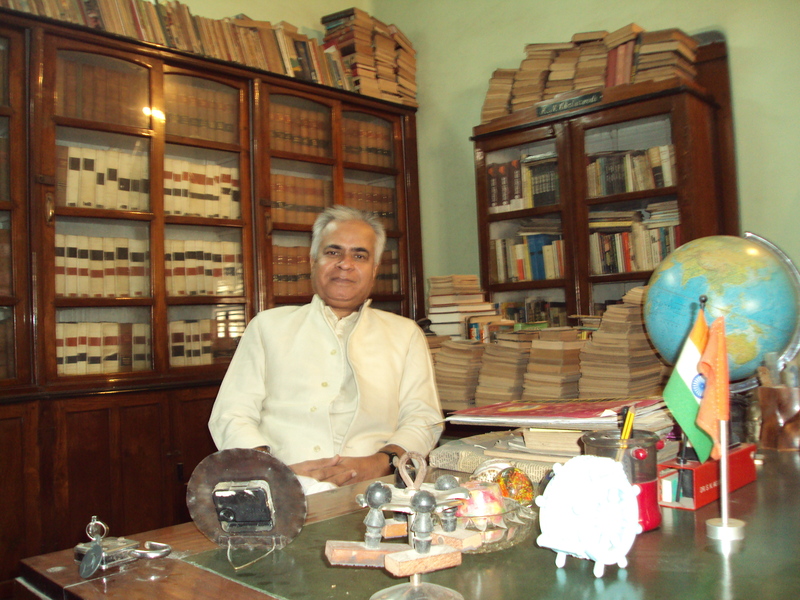 After finishing his law degree , he started practise in Allahabad District Court and later on in moved to Allahabad High Court . He gave up his well stablished law practise in 1911 for education and social service . He donned the robe again only to fight the case of Chouri Choura freedom fighters . 177 freedom fighters got capital punishment . Mahamana fought their case and was successful in saving 156 freedom fighters . 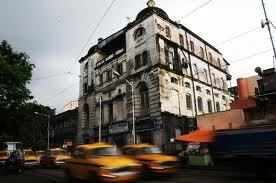 He attended 2nd session of Indian National Congress in 1886 in Calcutta [ Now Kolkata ] . He was associated with The Congress long before Mahatma Gandhi became a national figure . 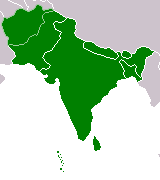 Mahatma Gandhi began his association with The Congress in 1921 . So Mahamana Malviya was his senior by 35 years . A fact non known by present day Indians and conveniently overlooked by present day leaders of The Congress . He was an active nationalist from 1886 , when Jawahar Lal Nehru was not even born . It is sad that a leader of such seniority and calibre is forgotten and Indian National Congress has almost banished him from the pantheon . Congress has been usurped by Gandhi – Nehru family and because of PR activities and media blitzkrieg , people associate only Gandhi and Nehru clan with the Congress Party . Today Banaras Hindu University is the sole reminder of Mahamana . 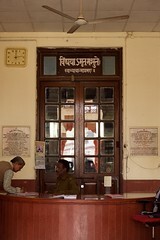 Malviya Nagar in various Indian cities like ; Allahabad , Lucknow , Delhi , Bhopal and Jaipur keep his memory alive . People have forgotten that he started tradition of Aarti at Har Ki Poudi , Haridwar , which is still followed. Ganga still flows in Haridwar , still slithers through Allahabad and Varanasi , Banaras Hindu University still stands tall . They all bear his testimony . They all remind his gigantic contributions . But alas , Indian National Congress has removed him from the pantheon . He has been downgraded and has no prominent place at the echelon . Though he was senior to Gandhi and Nehru , but has been relegated to irrelevance . His photos are missing from Congress literature and books and functions . I am saddened . I get hurt when I see articles about the contribution of Rajiv Gandhi and / or Sonia Gandhi in the papers and magazines . It is pathetic that even Rahul Gandhi is eulogized and this giant is neglected .He is branded as communal by some pseudo – secular , while appeasement is the order of the day . Government of India is celebrating his 150 years with a function in Delhi . It was supposed to be held on December 25th but will now happen on December 27th . Rulers of the day has no time for Mahamana . And , in my opinion , this function is not to commemorate the memory of Mahamana . Elections are due in Uttar Pradesh . The Congress needs to win Uttar Pradesh . To lure crucial Brahmin votes , they need an icon , a Brahmin icon . So they remembered Mahamana . They need Pandit Madan Mohan Malviya . So this charade of celebration of 150 Years of Mahamana Pandit Madan Moham Malviya came into being . Pandit Jawahar Lal Nehru , who usurped Mahamana’s title Pandit , now fails to help The Congress , so Pandit Madan Mohan Malviya is being tried out .After making Congress a fiefdom of Nehru – Gandhi family , after almost disowning Sardar Patel , after branding Mahamana a communal leader and a sectarian leader of Hindus , The Indian Nation Congress is trying to pay lip service to the memory of Mahamana and trying to remember him on his 150th Anniversary , though they were the one , who obfuscated his memory and neglected his contribution . It is sad ! It is bizarre ! It is ridiculous !! I , through this blog , pay my obeisance to Mahamana Pandit Madan Mohan Malviya . I also urge Malviya Mission , an organization dedicated to his memory , to do more . MUMBAI – MAHARASHTRA – INDIA DECEMBER 23 , 2011 01.30 A.M.
Christopher Hitchens , writer , columnist , journalist , public speaker , world-famous atheist and iconoclast died on December 15, 2011 at the age of 62 in Houston , Texas , USA . I am a theist . I am a believer . I do believe in God . I do believe in my culture , my traditions , rituals of my religion and have unflinching faith in above mentioned things . But still I admire and have utmost regards for every iconoclast , every atheist and every non – believer . Maharshi Charvaka fascinated me . So whenever I read about a new atheist , a new iconoclast , I am driven towards him , even though I would never follow him . 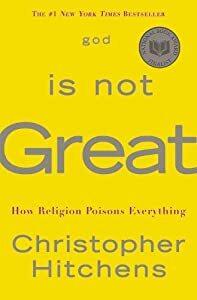 So when I heard about Christopher Hitchens , I was intrigued . Most famous for bashing Mother Teresa as a fraud , he was very critical of Henry Kissinger , Bill and Hillary Clinton and Royal Family of Great Britain . 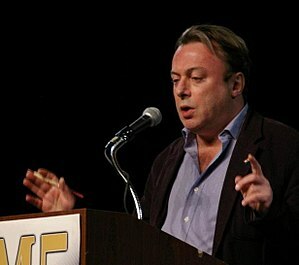 Christopher Hitchens was admirer of George Orwell , Thomas Paine and Thomas Jefferson . It needs guts to support Salman Rushdie and oppose Ayatollah Ruhollah Khomeini . It needs courage to oppose Vietnam War but support Iraq War . It needs gumption to oppose Bill Clinton but support George W. Bush . He was a true iconoclast who regularly contributed in Vanity Fair magazine . I deeply mourn his death and pray for his soul , though he would not have liked it . May his soul rest in peace ! 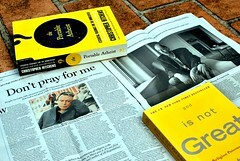 I know your views Mr. Christopher Hitchens . You have every right to adhere to your views but so am I . So , rest in peace gentleman ! And don’t get angry for my prayers .